Vojtěch Chloupek is a partner at Bird & Bird, where he heads the Czech and Slovak intellectual property and life sciences practices. He provides legal advice to clients primarily in the healthcare, electronics, media, life sciences, telecommunications and information technology sectors. 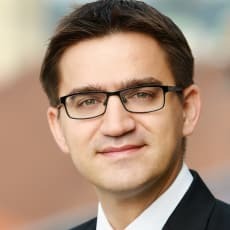 Vojtěch specialises primarily in intellectual property law, although he has also gained significant experience in commercial and regulatory matters, especially in the aforementioned sectors. He frequently represents pharmaceutical clients in patent and other IP matters, and assists clients with regulatory, data protection and commercial issues (including distribution, licensing, advertising and clinical trials).